You've probably heard about the brouhaha surrounding Defense Distributed's development of a mostly-plastic gun that can be produced using a 3D printer and plans that are downloadable from the Web. Or, rather, they were downloadable, until the Department of Defense demanded that DD take down the files, claiming that they might violate U.S. laws that control international arms trafficking. DD's founder, an anarchist law student named Cody Wilson, told Forbes that his goal is to show that technology can make it possible to circumvent and negate government authority. "This is about enabling individuals to create their own sovereign space," he explained. "The government will increasingly be on the sidelines, saying ‘hey, wait.' It’s about creating the new order in the crumbling shell of the old order." Meanwhile, though, New Scientist reports on another new weapons technology that might have an even more world-changing impact--a "smart" rifle that does the aiming for you, potentially transforming even a novice shooter into a super-accurate marksman at distances, at distances of up to 1,200 yards. TrackingPoint, Inc.'s new $22,000 Precision Guided Firearm uses a variation on the lock-and-launch gadgetry that allows fighter pilots to fire air-to-air missiles without having to precision-aim them. According to New Scientist, the PGF lets the shooter choose a target, and the rifle pretty much does all the rest. 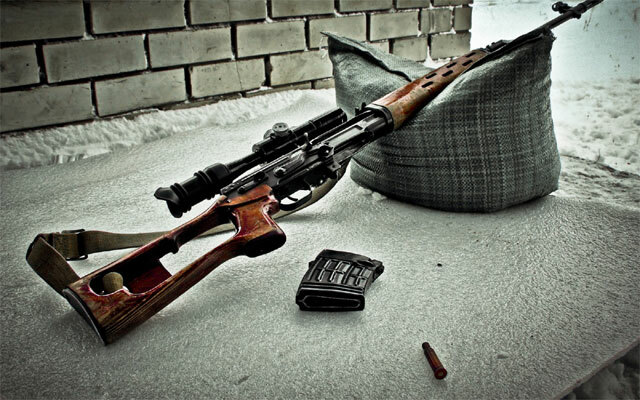 The rifle's built-in computer uses an algorithm to track the target as it moves, and factors in wind speed, air temperature, humidity and other factors. The PGF gives the shooter a tactile cue--in the form of reduced trigger pressure--when it's the best moment to fire the shot. Additionally, the gun is equipped with Wi-Fi, so that the shooter can stream imagery from the gun sight to smartphones or tablet PCs used by other people. “We’re taking centuries old tech, firearms and ammunition, and introducing 21st century technology to it,” newly-appointed TrackingPoint CEO Jason Schauble, a highly-decorated U.S. Marine combat veteran who was wounded in Iraq, told ABC News. As someone who not only isn't a marksman but pretty much avoids guns altogether, I approached the TrackingPoint rifle a bit gingerly. However, when the company's president, Jason Schauble, walked me through it, I realized that as long as I paid attention (and observed the basic safety rules of firearms), I would be able to hit that target without trouble. Not 15 minutes later, I did — at a distance of nearly seven football fields. I'm wondering if smart rifles might actually have the effect of cancelling out the impact of the cheap printable plastic gun, or perhaps creating an even more extreme gap between the haves and have-nots in some societies. The idea of the printable gun, after all, is to demolish the existing power structure, by arming vast numbers of ordinary people who can resist authority. But those armed masses are going to have trouble scaling the compound walls and challenging an elite that can afford smart rifles capable of picking them off from an extreme distance. Additionally, smart rifles might make it possible to keep a population under control without ever having any direct contact with them. So what do you think about smart rifles? Express your opinion below.